In this city built on lucky streaks and last chances, Donald Trump is gone but not forgotten. He remains a totemic presence high above the Atlantic City boardwalk even though he no longer owns the hotels bearing his name, having lost the last one six years ago. Between the onion domes of the Taj Mahal hotel, the word Trump is still visible, even to ships at sea. Inside the Taj, one of three casinos he once owned, shoppers can still browse the Trump Exchange store, which sells all Donald Style, from branded apparel to a dinner table set with gold charger plates and crystal glassware. A black-and-white blowup of the Donald, circa 1980, with windblown hair and firmer jaw, holds pride of place behind the cash register, beneath a bit of his CEO wisdom embossed on the wall: I like thinking Big. You have to think anyway so why not think big? D. Trump. Atlantic City hasn’t forgotten Trump, and the Republican front-runner for president can’t forget Atlantic City, where his casinos employed thousands and where his companies filed four bankruptcies between 1991 and 2009. By then, the real estate mogul’s share in Trump Hotels and Casino Resorts had already dwindled. He resigned from the board, retaining just a 10 percent stake. His three casinos were his in name only. Today, only one of them, the Taj, still bears the Trump brand. When asked about Atlantic City, Trump says the iconic resort town is “a disaster” that collapsed just before his timely exit, which is surely true. I n the town on which the Monopoly game was based, riches did not trickle down. Many inhabitants are not passing Go: 39,000 people live in a city where unemployment is 13.8 percent, the 10th highest in the nation, and the mortgage foreclosure rate is America’s highest. Atlantic City attracted Trump and more established casino operators—Caesars, Harrah’s, Bally’s and Mirage Resorts—because New Jersey voters passed a constitutional amendment in 1976 legalizing casino gambling. Politicians promised gambling would pay for schools and roads, not just in the ailing seaside city but across the state. At the time, only faraway Nevada offered casino gambling, and Atlantic City was a short drive from many cities in the densely populated Northeast. When Trump snagged his first Atlantic City casino license in 1982, there were questions about the size of his fortune, just as there are now. According to a biography by financial journalist Timothy L. O’Brien, TrumpNation: The Art of Being Donald, the then-36-year-old’s wealth was propped up by loans from his developer father. (Trump sued O’Brien, and the long litigation ended with the case being dismissed.) 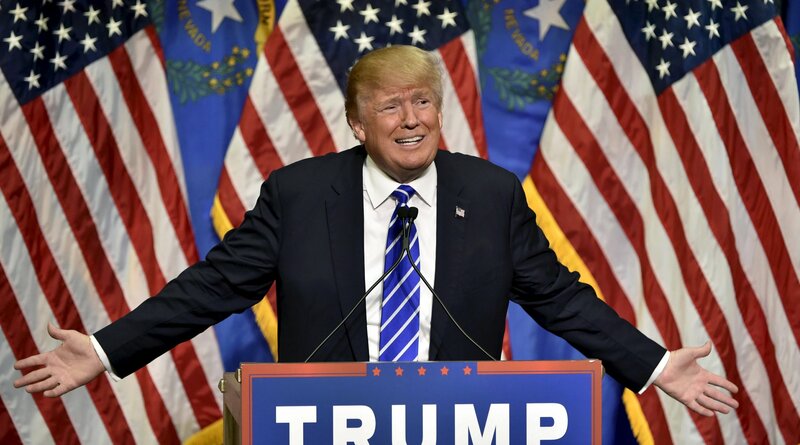 Today, Trump claims a net worth of $10 billion, while Forbes says it is more like $4 billion . Whatever his true worth was, in the ’80s and ’90s Trump’s New York flash gave Atlantic City a big PR boost. He brought glitzy high rollers, big-time boxing and celebrities to town. 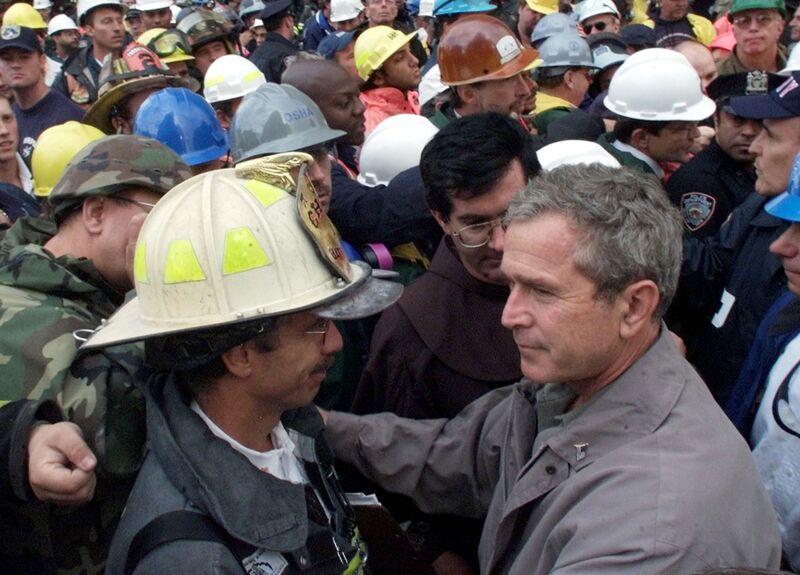 When Trump walked the boardwalk, people applauded. Police cruisers accompanied his limo, fore and aft. 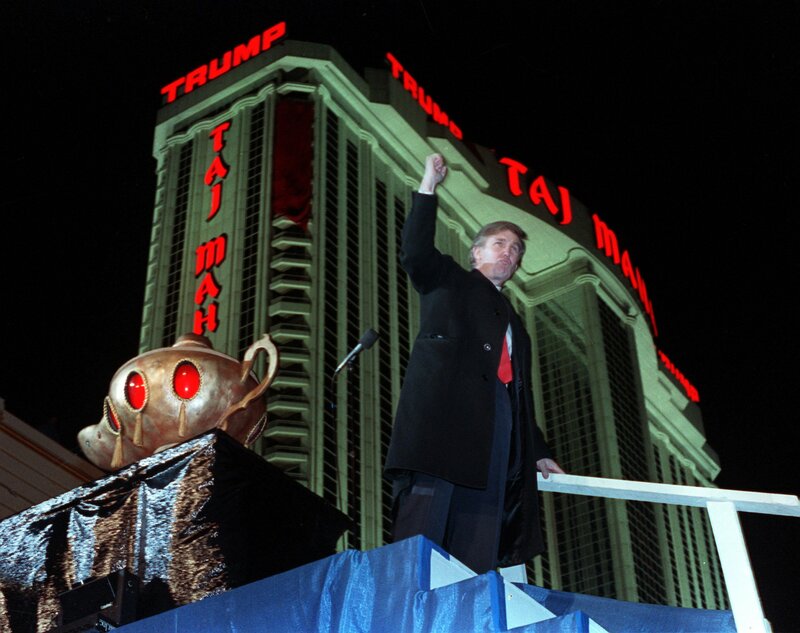 In 1991, the Trump Taj Mahal Casino, which had opened just a year before, filed for bankruptcy. Trump had financed it with $900 million in junk bonds. Although the company—and not Trump personally—filed for bankruptcy, he unloaded his Trump Princess yacht, his Trump Shuttle airline and stakes in other businesses. 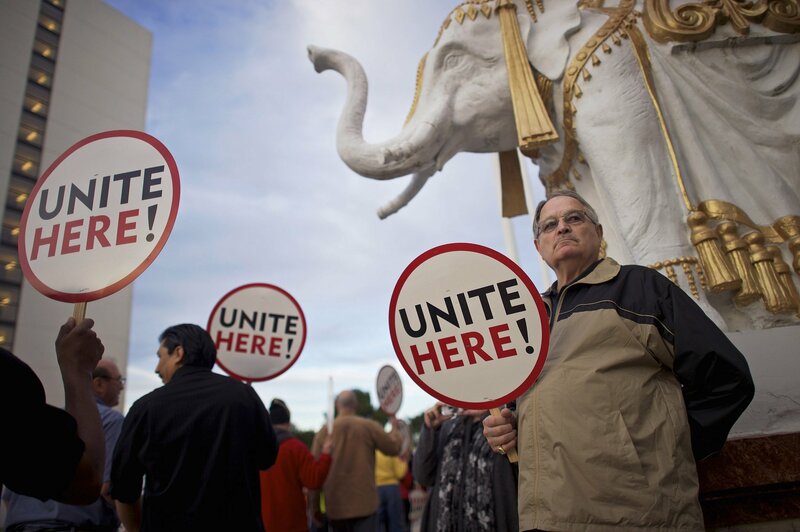 The Taj bankruptcy hit Atlantic City’s small businesses much harder. Trump already had a reputation for being a very tough negotiator with suppliers—an echo of his campaign promise to negotiate the best trade deals for America. Contractors were so accustomed to getting paid cents on the dollar that they habitually built in an extra percentage, according to one Atlantic City bankruptcy lawyer. Talking to Philly.com earlier this summer, Diehl said, “I'm not going to vote for him, that's for sure. That's a crude way of doing business.” Representatives at Trump’s company declined to comment on Diehl’s account and did not return calls for this story. 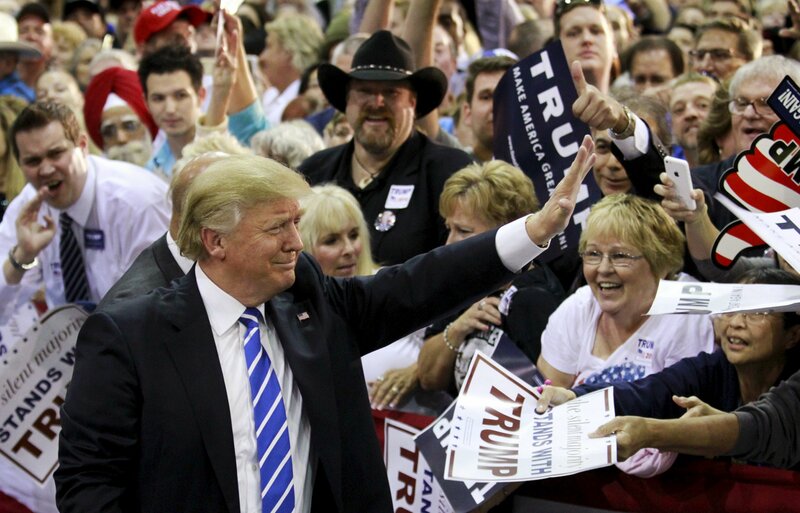 New Jersey state Senator Jim Whelan, Atlantic City’s mayor during the Trump years, and other sources who asked not to be quoted say Trump had a bad reputation among vendors even before the bankruptcies. “The fact is, there were a lot of small contractors and vendors who got hurt, who went out of business because Trump did not pay contracts on time,” he says. 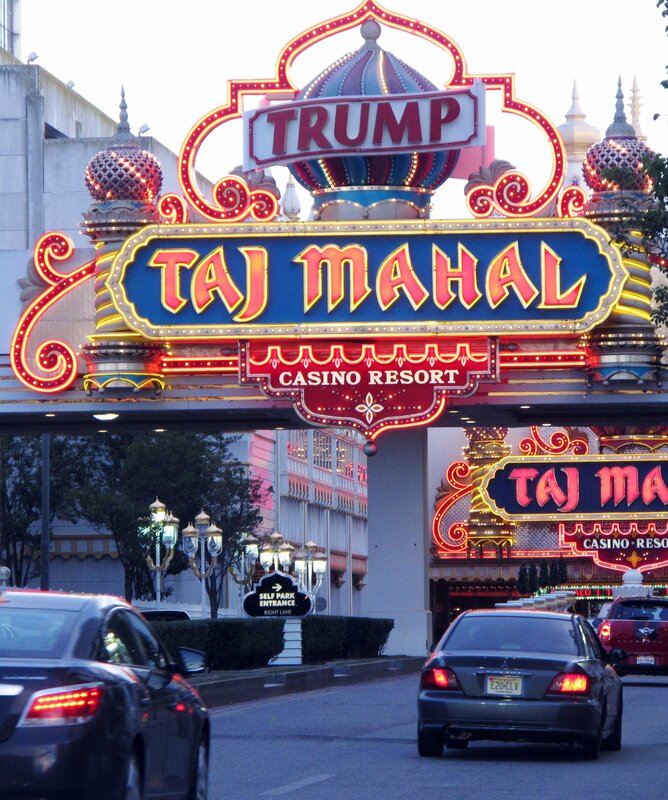 In addition to Trump’s financial problems that led to the Taj bankruptcy, in the ’90s Atlantic City began to face increasing gambling competition from all over the country—Indian casinos, riverboat gambling, horse tracks that added slots and gaming tables. 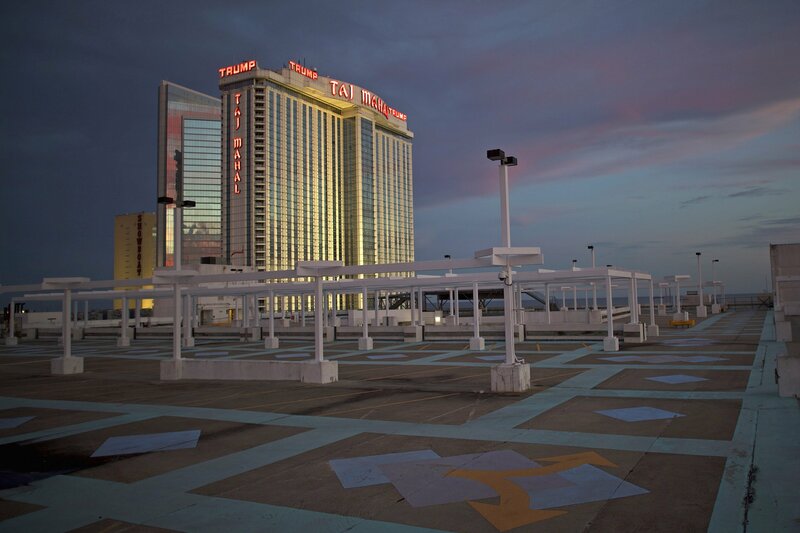 Most Americans didn’t need to travel far to gamble, and Vegas posed new competition by transforming its reputation from a mob haven into an adult as well as family-friendly playground. On the boardwalk and in the union hall, men and women who worked for Trump have a love-hate relationship with the mogul. 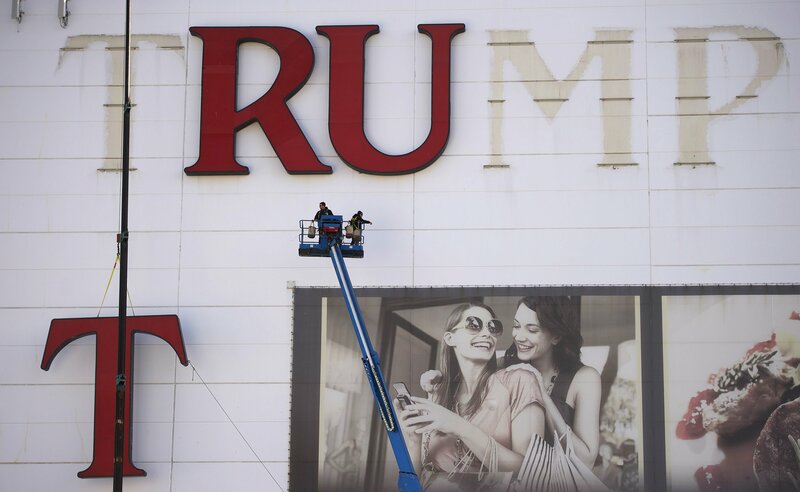 Since Trump Entertainment—Trump-ian now in name only, and owned by investor Carl Icahn—filed for bankruptcy again last year, labor relations at the Trump crown jewel casino have imploded. Icahn is in a bitter fight with Unite Here Local 54, the union representing more than 11,000 workers, which has called him “a malignancy” in Atlantic City. By contrast, Bob McDevitt, the union’s president, recalls a good relationship with Trump. “Trump never challenged whether the union was legitimate,” he says. “Icahn is trying to destroy the union.” Icahn has charged that the union cares more about its fees than workers’ health care and said union rules contributed to three recent casino closings. Trump has said he’d make Icahn his treasury secretary and point man for trade negotiations with China. Like the other owners, Trump built his casinos on the Vegas model—windowless caverns brimming with slot machines and gaming tables. At the Taj, escalators make it easy to enter, difficult to leave. Once you’re inside and acclimated to the glow of the pink chandeliers, it takes an effort to find exit doors. One can walk several hundred carpeted yards in many directions without seeing sunlight. No brochures direct visitors to attractions outside the casino, not to the aquarium, nor even to a local restaurant. It’s a grim scene.